On this day in 1890, one of the greatest writers of detective fiction was born. Agatha Christie’s two most famous creations are fastidious Belgian detective Hercule Poirot and the prim but indomitable Miss Marple. Christie is the best selling novelist of all time and has the longest running play of all time – The Mousetrap – still playing to full houses in London’s West End after more than 60 years. 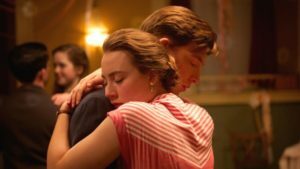 Her stories were being adapted into films already by the end of the 1920s, and continue to this day – Crooked House is just going into production, directed by either Neil LaBute or Julian Fellowes, depending on which rumours you follow. And no less than Hideo Nakata (of Ring fame) recently directed The Incite Mill, which does not at first glance appear to be a Christie product but is clearly influenced by her And Then There Were None. Christie – four billion books and counting and only outsold by Shakespeare and the Bible – keeps on going. 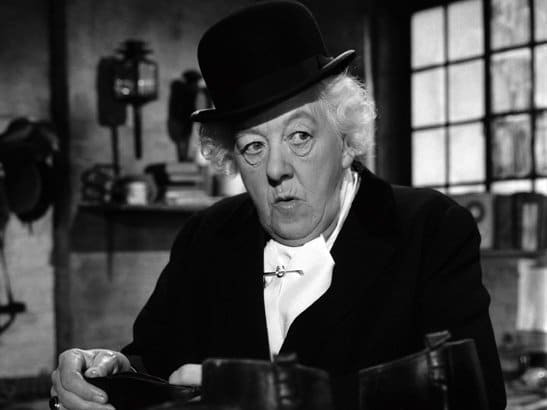 The best of the four films starring Margaret Rutherford as Miss Marple, Murder at the Gallop is actually an adaptation of a Hercule Poirot story, After the Funeral. Centring on the murder most horrid of a harmless old buffer, it eventually sees Miss Marple joining a riding club in an attempt to find out whodunit. The thought of the redoubtable Margaret Rutherford climbing onto a horse is amusing enough, but the highlight of this film is Rutherford’s shameless mugging to camera, tongue literally in cheek, eyes rolling while Robert Morley, also engaging in scene-stealing of a most florid nature, lays on the flattery. 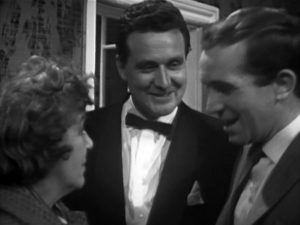 Purists aren’t fans of these Rutherford films but they’re all crisply shot in black and white, and this one benefits from a jaunty Ron Goodwin soundtrack – a middle-aged guy’s version of swinging young people’s music. That, Rutherford’s bizarre dress sense and proper repertory-style acting from the likes of Flora Robson and Noel Howlett, not forgetting regulars Stringer Davis (Rutherford’s real-life husband) and Charles Tingwell as the cheery put-upon Inspector Craddock, make this an entirely enjoyable piece of escapism. Trivia: When a wealthy old man appears to have been “frightened to death” by a cat, Miss Marple suspects one of his four relatives, all heirs to his estate, of his murder.